0.16 carat sweeping 3 stone diamond ring, with beautifully set round brilliant cut diamonds across a delicate modern ring design. Graceful trailing stems curve outwards to hold each Diamond in this enchanting Engagement Ring; inspired by Mother Nature's own designs. 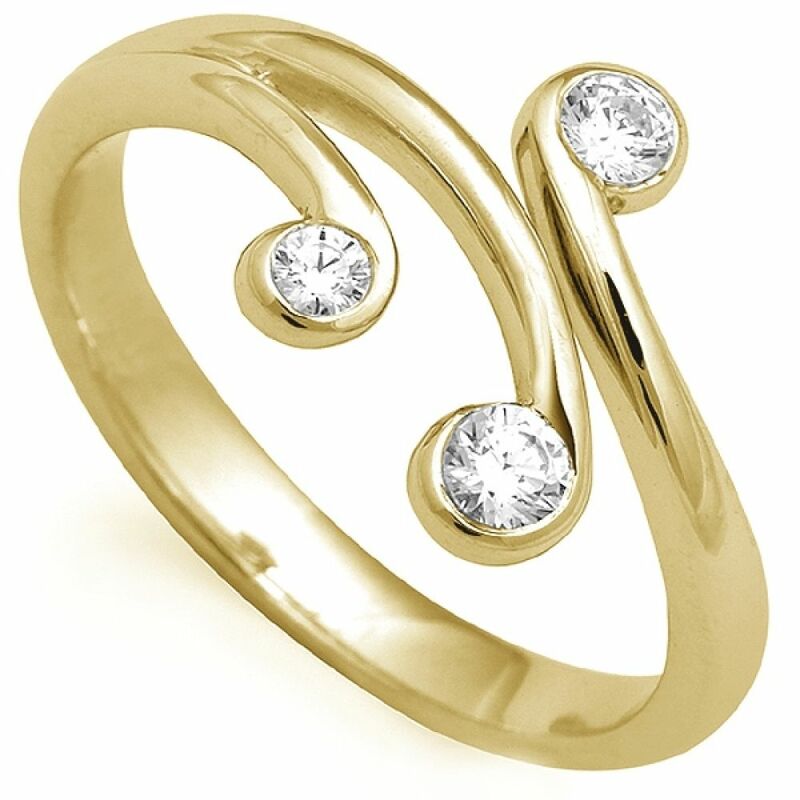 Contains three varying sizes of Round Brilliant cut Diamond with a modern rub over setting. 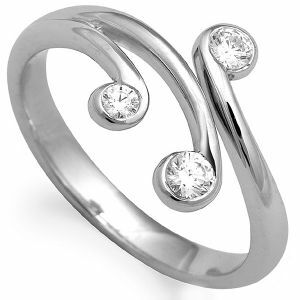 The Total Diamond weight in this natural design is approx. 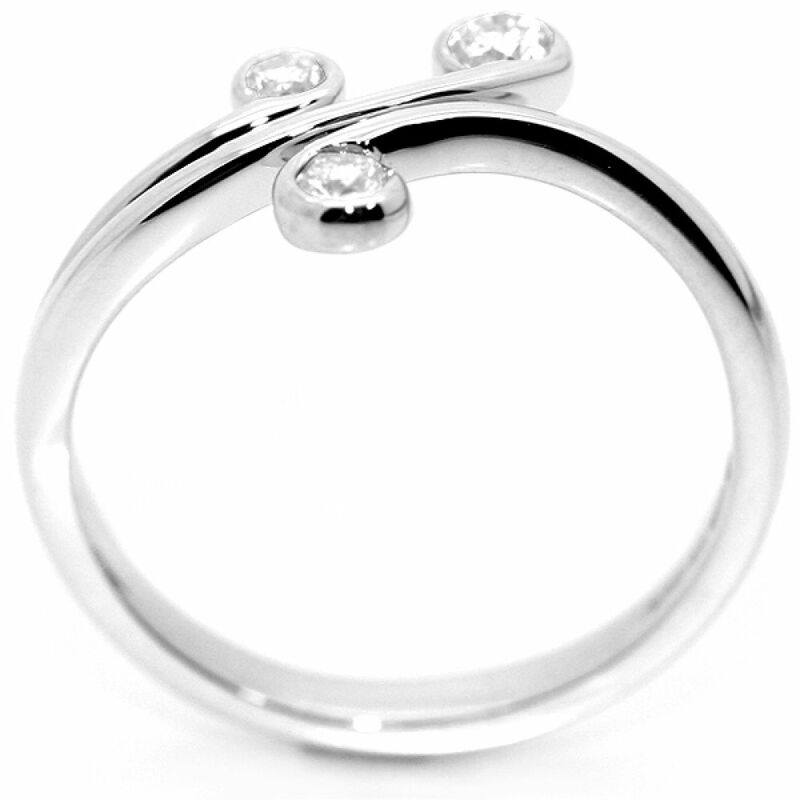 0.16 carats, and can be created in your choice of our precious metals (see the drop down menu). This ring design typically takes around 3 weeks to create for you and is beautifully finished with care and attention before delivering beautifully boxed to your door. We also provide comfort of our 60 day returns policy and a free ring size adjustment if needed.